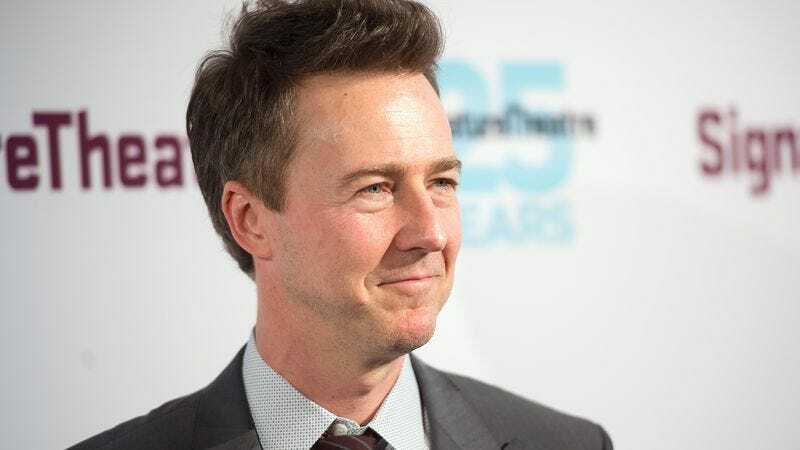 As reported by Consequence Of Sound, Edward Norton has launched a charity fundraising campaign through the Crowdrise website he co-founded that could get one lucky donator a chance to see Radiohead backstage at Madison Square Garden. The campaign is raising money for Conservation International and Kenya’s Maasai Wilderness Conservations Trust, and every $10 donation will get one entry into the contest. If you win the contest, though, you won’t just get to see Radiohead, you’ll also get roundtrip airfare to New York, a two-night stay in a hotel, and a special vinyl box set of A Moon Shaped Pool. If that’s somehow still not enough, you’ll also get to watch the Radiohead concert with Edward Norton, and he’ll even take you backstage to meet the band. In other words, you get to hang out at a Radiohead show with Edward Norton, Hollywood’s chillest and most affable star. Alright, so Edward Norton doesn’t exactly have that kind of reputation, and sitting next to any famous person for a whole concert will probably be pretty awkward, but at least you’ll get to meet Radiohead. Of course, you’ll then have to talk to them as well, and Edward Norton will probably still be hanging around acting all famous stuff. Meanwhile, you’re just some normal person who donated at least $10 to charity. In case you still want to do this, you have until tomorrow evening to get your entires in. The concert itself is on July 26, so make sure you start coming up with things to talk to famous people about now.